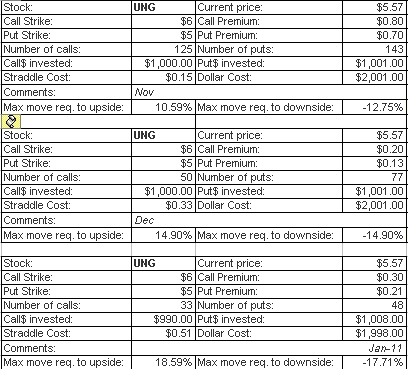 As readers know, UNG is a dreadful financial instrument that generally loses a double digit percentage of value every month due to its rollover of contracts and contango. Has UNG bottommed? Well, no, it never does, due to its rollover. Will it spiked or be manipulated upwards with winter? Can UNG mover 12%, 15% or 20%? It sure can.